The cubs fathered by Cecil the lion are being protected by his brother amid fears they will be killed by a male rival, researchers said today. The much-loved lion was killed by American dentist Walter Palmer earlier this month, sparking outrage around the world. After his death, there were fears his cubs would be killed by the next lion in the hierarchy so he could father his own offspring with the females in the pride. But a team at Oxford University's Wildlife Conservation Unit, which had been studying Cecil before he was shot dead, said the lion's brother had stepped in to safeguard the young. Project leader David Macdonald said: 'The natural law in lion society is that when a male dies and his weakened coalition is usurped, the new incoming males kill their predecessors' cubs. Responses to "Saved... for now: Cecil the lion's cubs are being protected by his BROTHER"
I hope his brother stays safe from assholes. 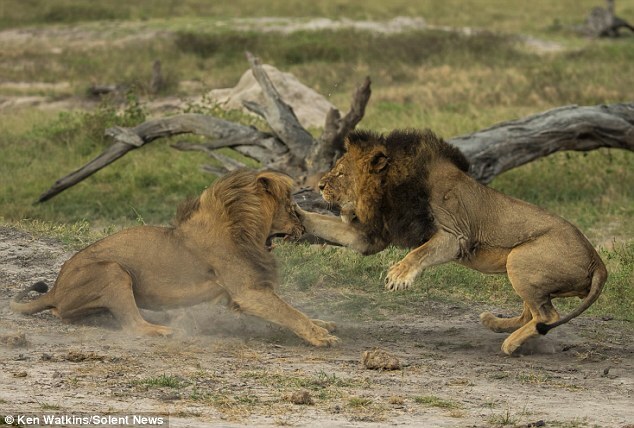 There were two likely scenarios ..either this sick dude killed Cecil because he wanted to father Cecils' cubs or maybe he wanted to mate with the lionesses in the pride. 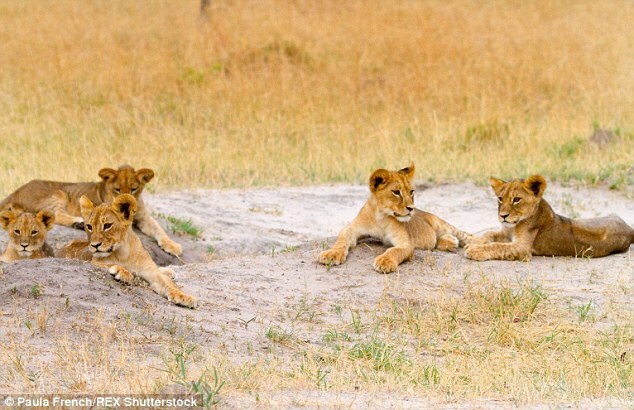 I wonder how many cubs Cecil killed to become the leader of his pride? This is,so sad that a very selfish person took away such a beautiful & beloved lion whom the world loved. I hope that his brother will continue to watch over Cecil's cubs. And they live a long & happy & healthy life. But I hope that there will be justice for Cecil !! Thank you for sharing this. Hoping Cecils offspring make it. He was such a beautiful and unusual lion with his colors. Would be terrific to have his offspring in the world. Hoping the brother continues to defend them. Let's hope this continues - :/ & that Dr. Palmer is prosecuted fully and made to give his vast wealth that he's used to massacre beautiful, wild animals for his ego, narcissism, and bloodlust- instead to Conservation efforts(Oxford University research center, ZimParks,, and to preserve the lions and other wild & endangered species!! The sad part is that the jerk dentist is still walking around with Cecil's head and skin. Funny that they can't seem to find the coward that murdered Cecil. Mounting his head and showing it off is not going to be a good idea at this point! I hope they EXTRACT that dentist and allow him the 'privilege' of standing trial. It's more than Cecil got! He was such a beautiful animal and there was no reason what-so-ever to take his life!